When most patients think of common dental treatments, they think of fillings, implants, root canals, and dentures. What many have not heard about are inlays. These amazing dental appliances are a great solution to countless forms of damage on the teeth and provide a long-term and attractive solution to many of our patients. Here is a look at what our West Hollywood porcelain inlays dentist, Dr. Ghasri, can do for those that are looking for the brightest and healthiest smile of their life. When teeth become damaged for any number of reasons, it is important to address the situation immediately. Infections and decay that are not treated by our expert for inlays in West Hollywood could result in permanent damage, a spreading of the infection, and severe pain for our patients. That is why it is important to understand just how painless, effective, and quick inlays can be applied. Inlays are composite materials that closely resemble the color and texture of one’s teeth. They are somewhat similar to dental fillings, but they are created in two very distinct processes. The first step that patients will have with our specialist for inlays in West Hollywood is a thorough examination of the damaged area. Dr. Ghasri may need to mold the teeth slightly and take very precise impressions that will be sent off to a specialty manufacturer. During the second visit to our West Hollywood porcelain inlays dentist, patients will have the temporary fillings removed, if they were initially placed in the teeth, and the inlays put in place. A bonding agent will be used to ensure that they inlays remain in the mouth as a long-term or even permanent solution to damage. Inlays are a great option for those with fractured teeth, tooth decay, lost fillings, cavities between the teeth, or to cover larger areas of damage. Once in place, patients will not have any sensitivity to hot or cold or pain in the area. If you would like to restore your smile or cover unsightly and painful damage, contact our cosmetic dentist in West Hollywood today. 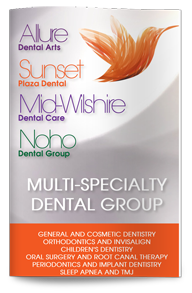 Dr. Ghasri offers a full line of services that allows every patient to have the smile of their dreams.